"It is impossible not to praise this book without praising the author and all of her achievements, because this book is an illustrated journey of Jody Mills' creative life, what she has learned, and what she gives us as her legacy. 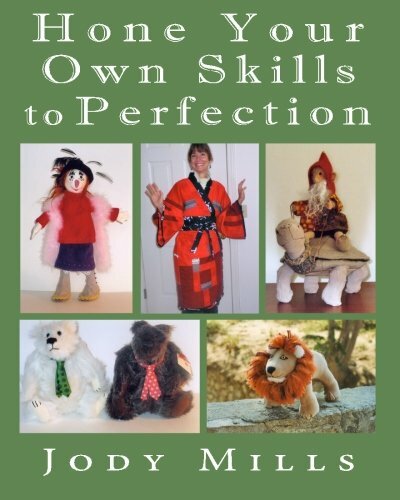 'Honing Your Skills to Perfection' is a wonderful gift, not only to her children but to anyone who is interested in creating a life that is a multifaceted work of art. As her daughter, I can say with all my heart, that I feel forever blessed to have had such a loving, wise, and creative woman for my mother." - Lauren Mills, author/illustrator of "The Rag Coat"
Jody, now a grandmother, is retired in Easthampton, Massachusetts with her husband, Abbot Mills, and their little Maltese dog, Toby. Even as a very young teenager, Jody was involved in arts and crafts and designing some of her own clothes for special occasions. For a while she attended Strathallen School in Ontario, Canada before transferring to Scripps, College in Claremont California where she graduated with an MA in 1948. Later, now the mother of 5 children, she graduated from West Connecticut State College with an MA in Education. Through the years she designed and sold many beautiful greeting cards as well as soft sculpture, "Pretty Ugly Critters," as she calls them. She also designed clothing patterns. In later years Jody worked as a Family Counselor at the Betty Ford Center in Rancho Mirage, California. Her latest project is this book where she shares many of of her designs as well as her story as her talents developed through the years.